Established in the 8th century under the Silla Dynasty, on the slopes of Mount Tohamsan, Seokguram Grotto and Bulguksa Temple form a religious architectural complex of exceptional significance. Prime Minister Kim Dae-seong initiated and supervised the construction of the temple and the grotto, the former built in memory of his parents in his present life and the latter in memory of his parents from a previous life. Seokguram is an artificial grotto constructed of granite that comprises an antechamber, a corridor and a main rotunda. It enshrines a monumental statue of the Sakyamuni Buddha looking out to sea with his left hand in dhyana mudra, the mudra of concentration, and his right hand in bhumisparsa mudra, the earth-touching mudra position. Together with the portrayals of devas, bodhisattvas and disciples, sculpted in high and low relief on the surrounding walls, the statues are considered to be a masterpiece of East Asian Buddhist art. The domed ceiling of the rotunda and the entrance corridor employed an innovative construction technique that involved the use of more than 360 stone slabs. Bulguksa is a Buddhist temple complex that comprises a series of wooden buildings on raised stone terraces. The grounds of Bulguksa are divided into three areas – Birojeon (the Vairocana Buddha Hall), Daeungjeon (the Hall of Great Enlightenment) and Geungnakjeon (the Hall of Supreme Bliss). These areas and the stone terraces were designed to represent the land of Buddha. The stone terraces, bridges and the two pagodas – Seokgatap (Pagoda of Sakyamuni) and Dabotap (Pagoda of Bountiful Treasures) – facing the Daeungjeon attest to the fine masonry work of the Silla. Criterion (i): The Seokguram Grotto, with its statue of Buddha surrounded by Bodhisattvas, the Ten Disciples, Eight Divine Guardians, two Devas, and two Vajrapanis all carved from white granite, is a masterpiece of East Asian Buddhist Art. Criterion (iv): The Seokguram Grotto, with its artificial cave and stone sculptures, and the associated Bulguksa temple with its wooden architecture and stone terraces, is an outstanding example of Buddhist religious architecture that flourished in Gyeongju, capital of the Silla Kingdom in the 8th century, as a material expression of Buddhist belief. Seokguram Grotto portrays the enlightenment of Buddha and Bulguksa Temple represents the Buddhist utopia taking its form in the terrestrial world. The two sites are closely linked physically, historically and culturally and all of their key components are included within the boundaries of the property. The most significant threats facing Seokguram Grotto are moisture and condensation, which cause the growth of mould, mildew and moss. Weather damage to the stone sculptures is another threat. The construction of a concrete dome between 1913 and 1915 resulted in humidity build-up and moisture infiltration. A second concrete dome was placed over the existing dome in the 1960s, to create a 1.2 m air space between them, control and adjust airflow, reduce the formation of mildew and prevent further climatic damage. A wooden antechamber was also added and the interior of the grotto was sealed off by a wall of glass to protect it from visitors and changes in temperature. The 1913-15 alterations to the grotto’s original structure and subsequent modifications to address the problems caused by it require further study. Temperature and humidity control, and water ingress are carefully monitored and managed, and mitigation measures implemented as required. The main threats to the masonry components of Bulguksa Temple are acid rain, pollution, salty fogs originating from the East Sea and moss on the surface of masonry. These threats are continuously monitored and studied. Fire is the greatest threat to the integrity of the wooden buildings of the Bulguksa Temple, calling for systems for prevention and monitoring at the site. The main statue of the Buddha and most of the stone sculptures has preserved their original form. As a result of the partial collapse of the rotunda ceiling, the entire grotto was dismantled and rebuilt, and covered with a concrete dome between 1913 and 1915. A second concrete dome was added in the 1960s. These dramatic measures have diminished the authenticity of the form of grotto, and to a lesser extent its materials, although they were acceptable in their time and in the face of serious deterioration. There have been no changes to the function and size of the grotto. The masonry structures within Bulguksa have maintained their original form, having undergone only partial repair. The wooden buildings have been repaired and restored several times since the 16th century. All restoration work and repairs have been based on historical research and have employed traditional materials and techniques. Seokguram Grotto has been designated as National Treasure and- Bulguksa Temple has been designated as a Historic Site under the Cultural Heritage Protection Act. Any alterations to the existing form of the site require authorization. They are included within the boundaries of Gyeongju National Park, in which there are restrictions on new construction. A Historic Cultural Environment Protection Area that extends 500 meters from the boundary of the site has also been established, in which all construction work must be pre-approved. At the national level, the Cultural Heritage Administration (CHA) is responsible for establishing and enforcing policies for the protection of the property and buffer zone, allocating financial resources for conservation. Gyeongju City is directly responsible for overseeing the conservation and management of the property, in collaboration with the Korea National Park Service, whilst Bulguksa Temple is responsible for the day-to-day management. Regular day-to-day monitoring is conducted and in-depth professional monitoring is conducted on a 3 to 4 year basis. 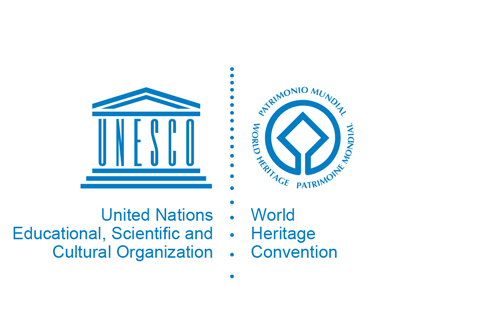 Conservation work is conducted by Cultural Heritage Conservation Specialists who have passed the National Certification Exams in their individual fields of expertise. A ventilation fan in Seokguram Grotto, whose vibration posing a risk, has been removed, and the number of visitors is properly controlled. Within Bulguksa Temple, acidic rain, pollution, salty fogs originating from the East Sea and moss on the surface of the stone are carefully monitored and methods to relieve the problems are being continuously studied. To protect the wooden structures of the temple from fire, an overall Fire Risk Prevention System has been implemented for Bulguksa and CCTVs installed in various points in the temple.